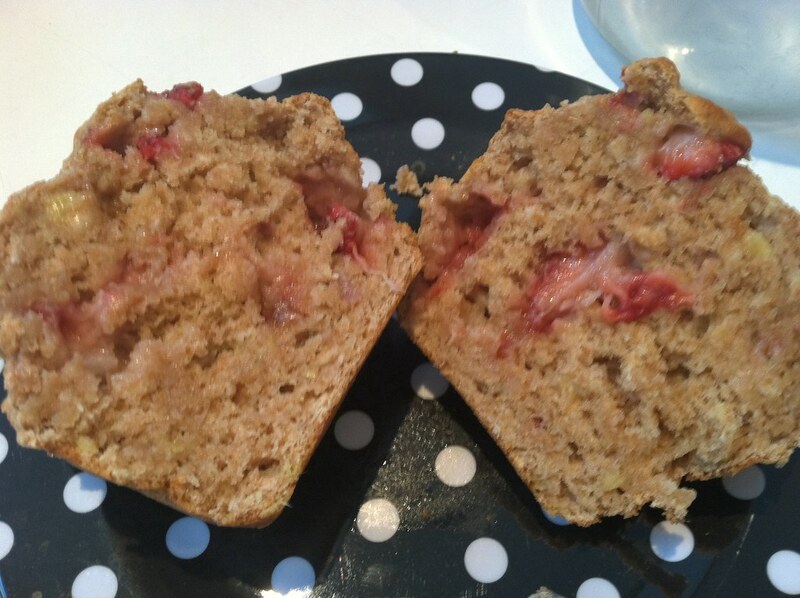 whole wheat strawberry banana muffins – ugly food tastes better. So I woke up this morning to a snowstorm! 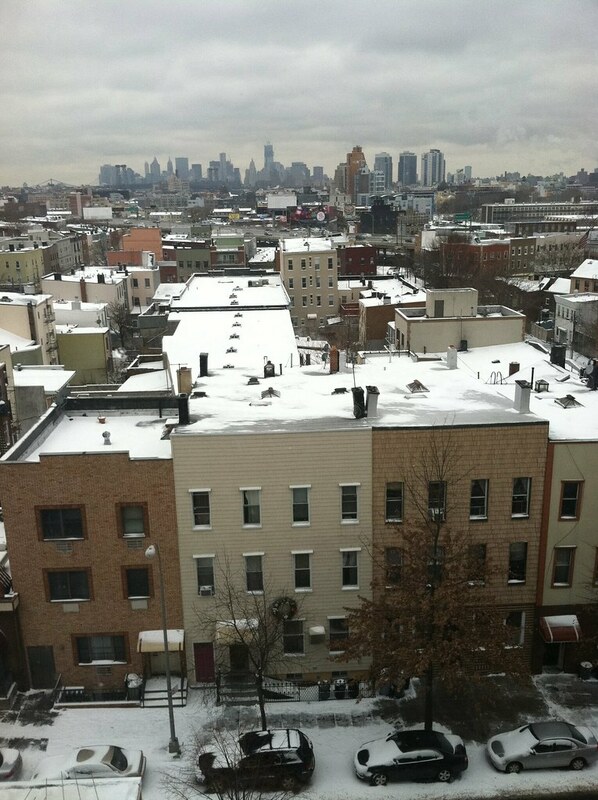 Finally, Winter has arrived in Brooklyn. It is so pretty, and I am SO GLAD to be working from home today. I am also so glad that I have 2 old bananas and a container of strawberries. I dont even have to go out and get anything to make breakfast. 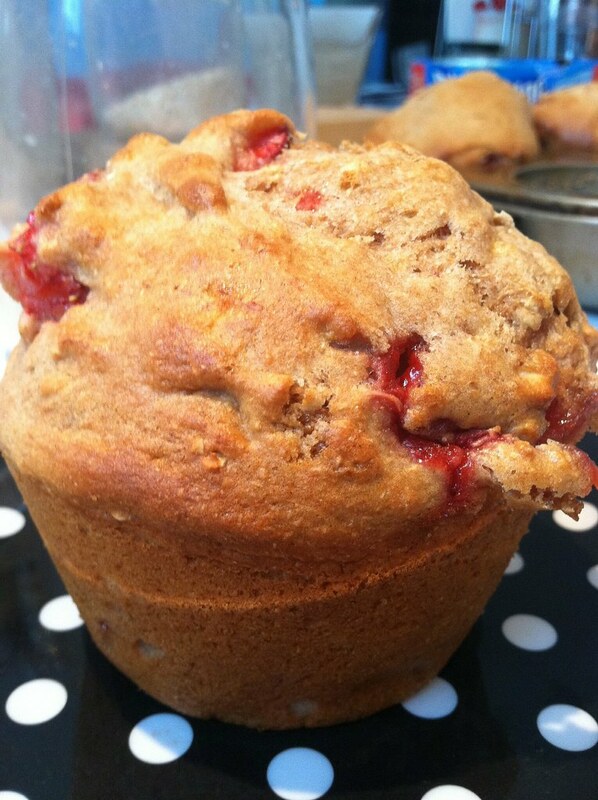 I put a pot of coffee on and whipped up these lovely muffins to enjoy by the window, watching the snow fall. Nutrition -Sugary, but not bad! Preheat oven to 400. 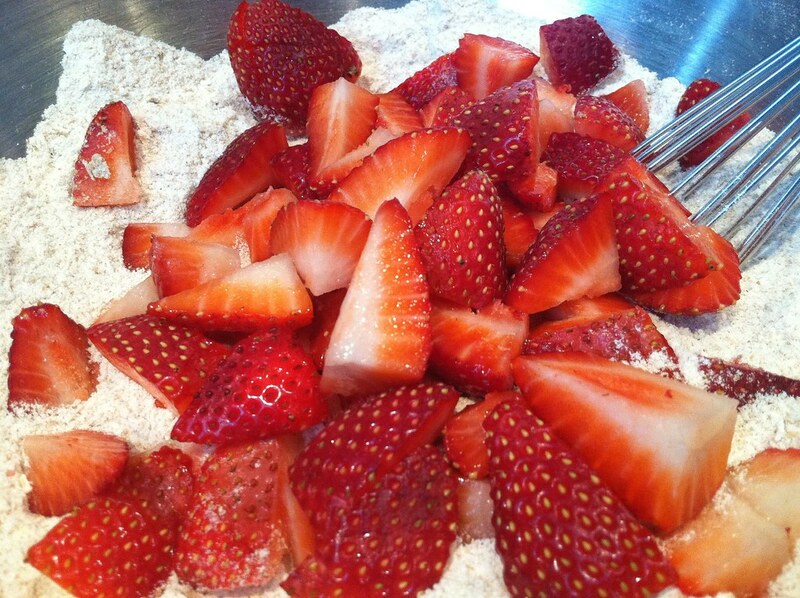 Mix all dry ingredients in a bowl and add in strawberries and toss. 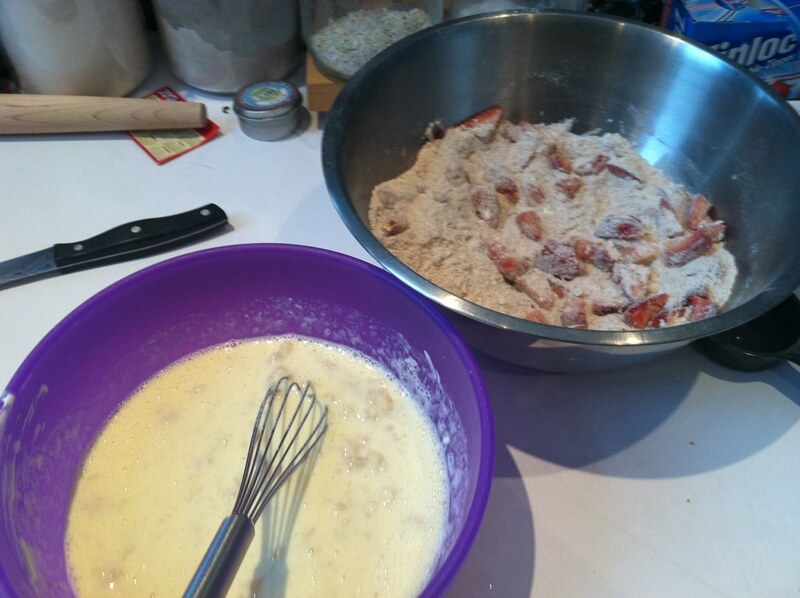 Mix all wet in bowl 2, and then add to dry and mix with a spatula until just combined. Divide in to 6 pre-greased muffin tins and bake for 25-30 minutes until golden brown and happy. I like to split mine and spread peanut butter on it while it is still hot. : ) Its like the best peanut butter and jelly sandwich ever. Now to go and play in the snow!!! 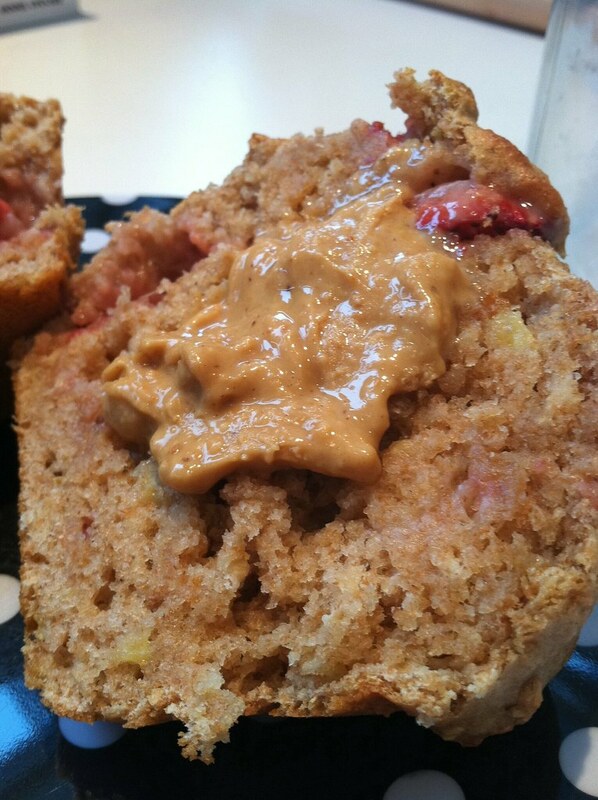 I love the idea of making awesome breakfast muffins from what you have on hand. I always am pleased when I don’t have to leave my apartment for ingredients, especially when it is cold and gross out. I need to change my pants after reading this.